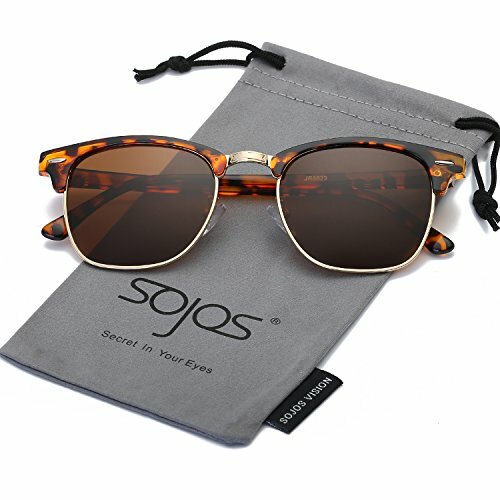 HIGH QUALITY MATERIALS - This retro vintage clubmaster sunglasses is made of soft silicon nose pads, reinforced metal frame and durable metal hinge, all the details ensure you a perfect performance. The soft silicon nose pads can adapt to different nose shape. Reduce the burden on your bridge of the nose and create a new sense of fashion.